Pierre, a former professor of literature in French universities, not only teaches at SOIS, but also in the Lycee Français of Kyoto and the evenings at the Institut Francais in central Osaka. On the trains he spends much time traveling between school and his home in Nishinomiya. He uses this time often to observe his surroundings and while many others are escaping reality with the phones, Pierre is writing haiku. He has always had a connection with Japan, studying Zen Buddhist practices from a young age. Pierre is a bit of a renaissance man, not only teaching, but he is also a musician, author and certified Buddhist priest. His wide variety of interests makes his classes interesting for our students. Mr. Turlur teachers several OIS students and has prepared them successfully for passing the DELF. As an IB World School, we promote the maintenance of mother tongue language and learning other languages. We encourage our students to study French and other languages. We wish Pierre brisk sales and more books to be published! 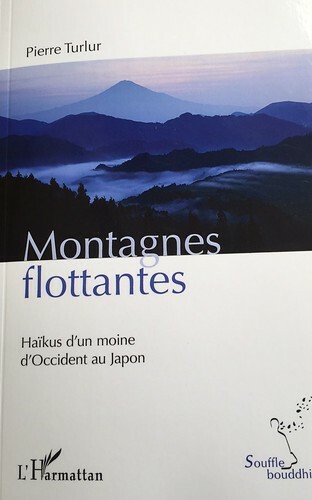 Although the poems are in French, if you are interested in purchasing the book you can contact the author or order a copy directly from the L’Harmattan website (link here).